...a certain Yeti wanted CEPs for Fishmas. SantaFish checked their list twice and saw that Yeti had indeed been nice this year, so SantaFish's little HelperFish hurried to Santa's fishy workshop and got to work. 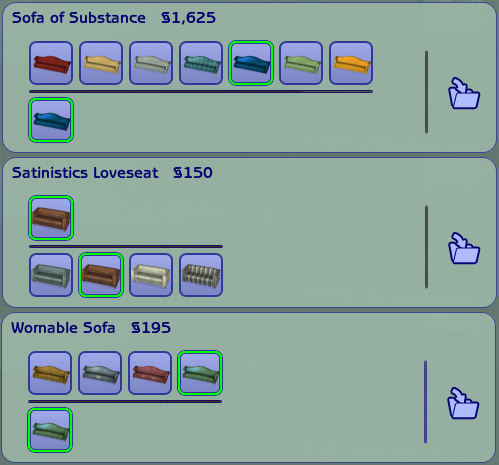 Now, Yeti had only wished for two CEPs, for the Luxiary King Armchair and the Sofa of Substance, but as HelperFish was hammering away at her workbench, she realised there were several other sofas and living chairs that also only had one subset even though it would have made much more sense with two. And this didn't put HelperFish in a Fishmas spirit at ALL. 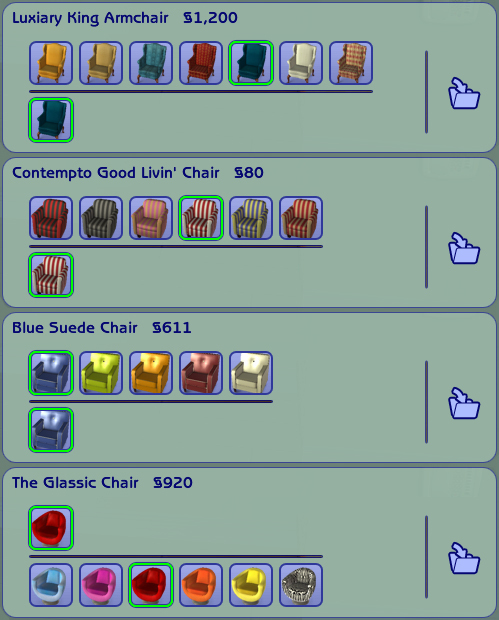 So, in addition to the two CEPs Yeti wanted in their stocking, HelperFish made five more: for the Contempto Good Livin' Chair, the Blue Suede Chair and the Glassic Chair, and also for the Satinistics Loveseat and the UNI Wornable Sofa (since that one's basically the same as the Sofa of Substance, only a bit... down on its luck). But that's not all! When SantaFish saw the CEPs, she remembered that she had some CEPs for the IKEA Karlstad sofa lying around, that she'd made for the very same Yeti. So she threw them into the sack as a bonus gift. And a very merry Fishmas was had by all! Each folder in the .zip file has two subfolders, Documents and ProgramFiles. Oooooh! ...and a VERY merry fishmas to all!